There are those who subscribe to minimalist neutrals and there are those aren’t afraid to experiment with bold, eye-catching colors (although, it’s our understanding that you don’t necessarily have to choose between minimalist décor and color). 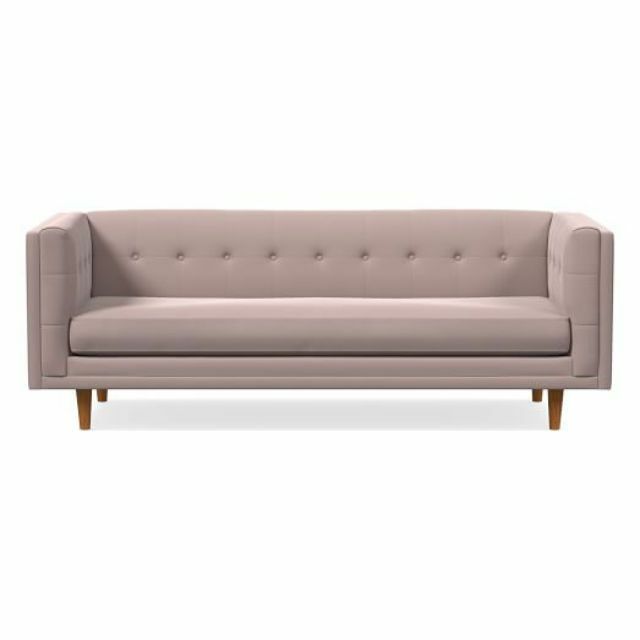 No matter your preferred design style, if you’re game to play with out-of-the-box hues when it comes to your home décor, it’s time to consider the pink couch—it's the new neutral. The color pink has had its fair share of evolutions in recent years. While it was once predominantly associated with nurseries before the popularity of gender-neutral spaces (and ideologies) came into play, a soft, muted version of the color went on to make headlines acting under the name millennial pink. Most recently, striking fuchsia shades of the once strictly feminine color were seen marching down the runways during fashion weeks in some of the most stylish cities in the world. No matter your association with the color, opting to display a pink couch in your home is a bold choice (but it’s certainly one any space can handle). 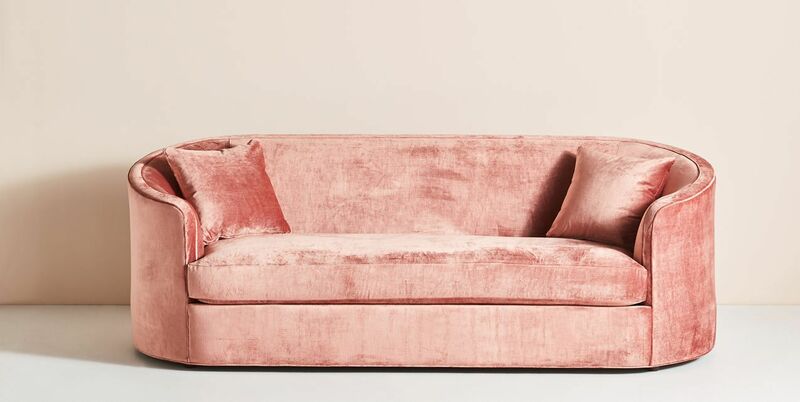 In case you needed more convincing, here are 14 pink couches in every hue imaginable—from light blush to bold berry—that will have you saying yes to color. 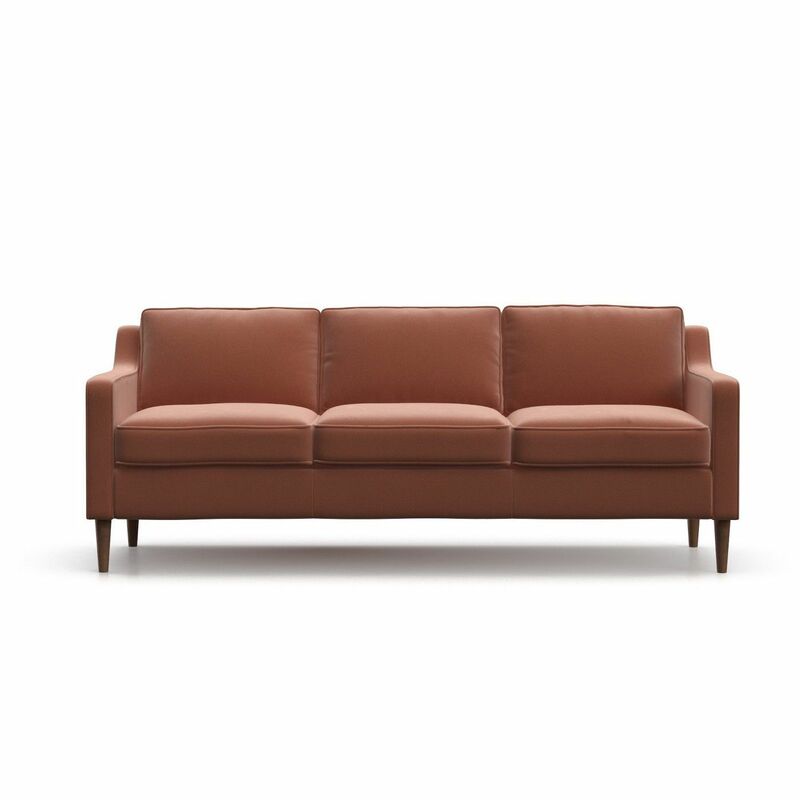 Let’s face it, sometimes life’s too short for a beige sofa. 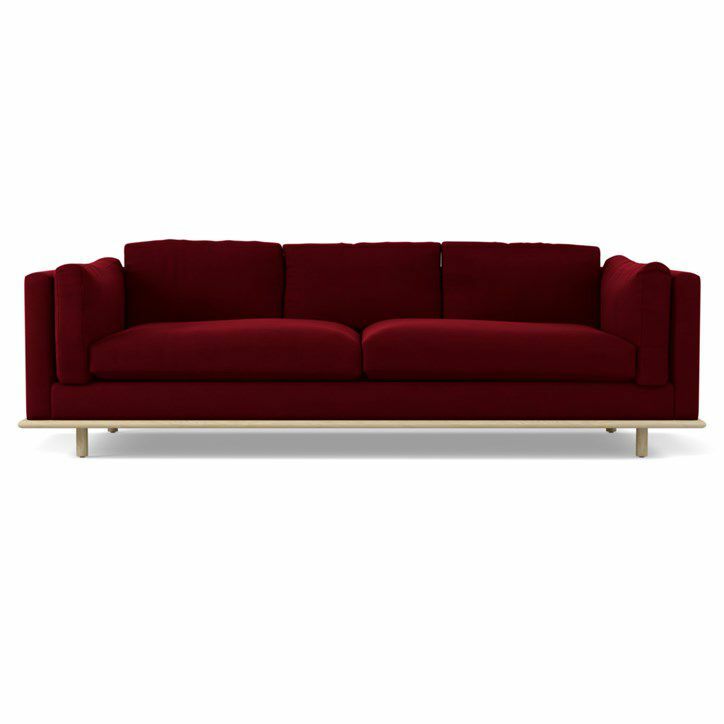 First up is this sophisticated, velvet number from CB2. It’s part of Gwyneth Paltrow’s collaboration with the brand and her own wellness company Goop. It features a light, romantic shade of pink and a beautiful curved shape that gives the piece a retro feel. 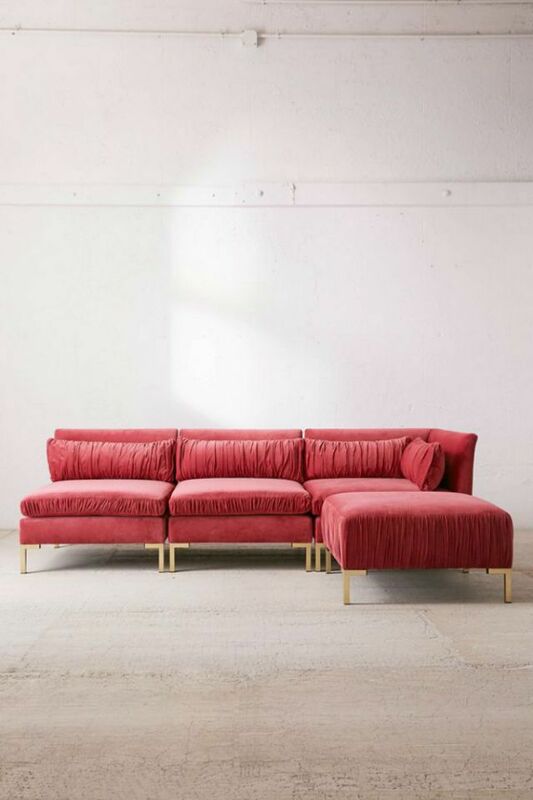 For something a bit more saturated, consider this berry pink couch reminiscent of a striking shade of lipstick. 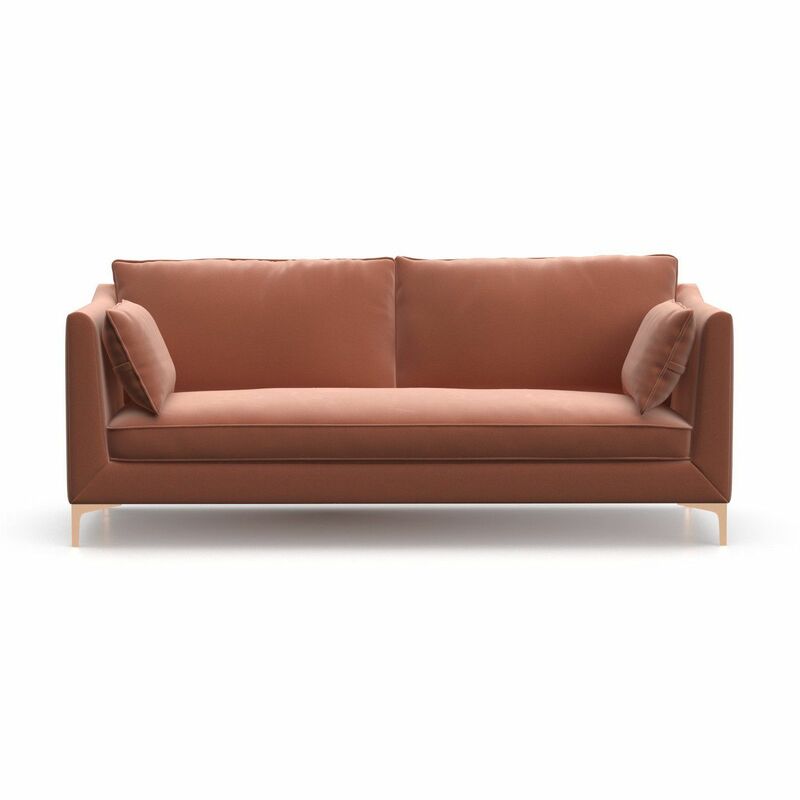 Along with a bold color, this sofa boasts a sturdy, traditional shape that offers plenty of seating room. 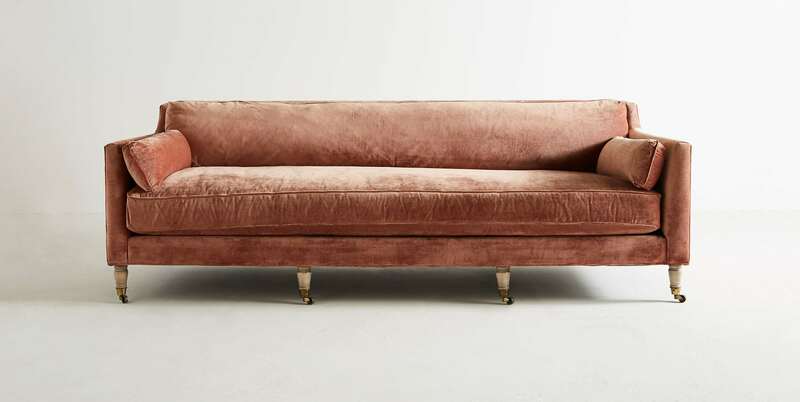 Perfect for smaller spaces, this Hollywood Regency-inspired pink couch looks absolutely luxe. It comes with two throw pillows to match its rich, velvet material, as well as hidden legs that are entirely removable. 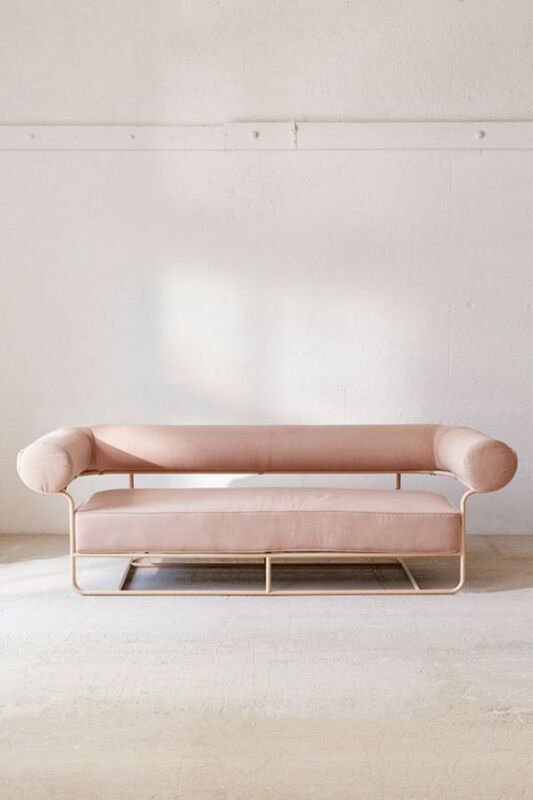 This muted, pastel pink sofa from Urban Outfitters features an incredibly unique design inspired by mid-century modern furnishings. It’s equal parts minimal and statement-making. West Elm’s take on the iconic Chesterfield sofa, this modern version is available in a cotton-blend velvet material with a dusty blush coloring. It would look glamorous in any living room and could blend in with a wide variety of styles. 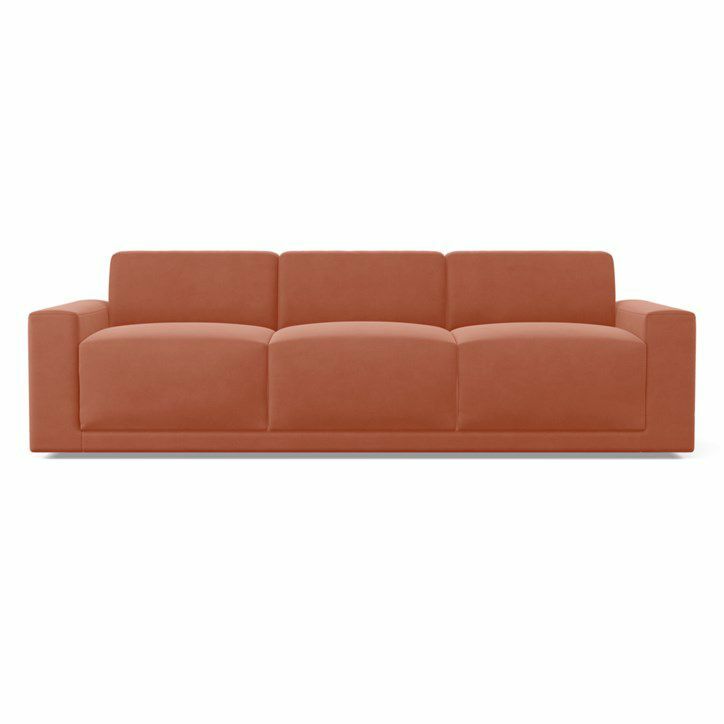 This contemporary couch from Target features a color that can best be described as rosé pink. Situated in an eclectic living room or a sleek, minimal space, this piece of furniture would fit right in. Not quite a couch, this chic settee is ideal for smaller living situations. 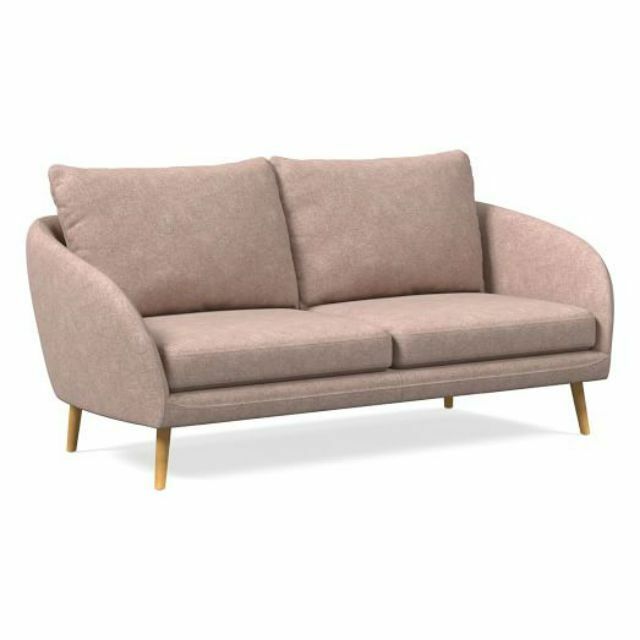 Featuring a plush material in a peachy shade of pink, it’s a gorgeous loveseat that feels both contemporary and retro. If you have the space for it, this ruched velvet sectional would look divine in your living room. The saturated rose color jumps right off the couch, making a bold statement that’s sure to catch the eye of any guest in your home. Rearrange the set to fit your specific layout needs. A small sofa in a light shade of mauve, this piece of furniture comes in a luxurious velvet material. Although it’s petite, we think it's the perfect place to curl up with a good book and a cup of coffee on the weekend for some much-needed rest and relaxation. 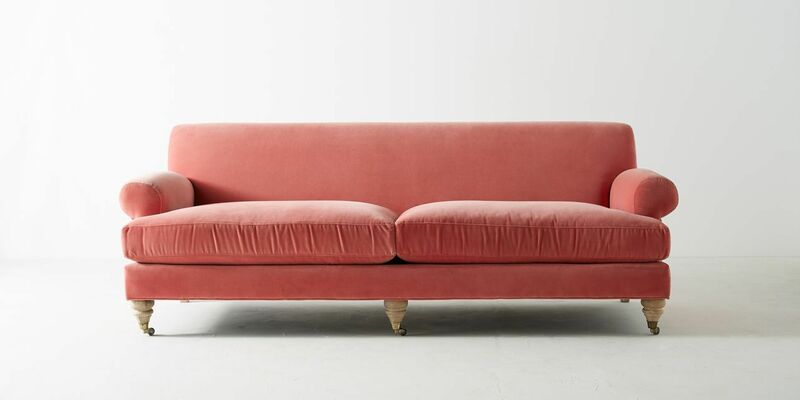 This two-cushion sofa from Anthropologie offers up a rich shade of coral that’s reminiscent of Pantone’s 2019 color of the year. Sweet and sophisticated, the piece could work in an array of interior design styles. Dress it up with throw pillows and blankets or let it stand on its own. A light rose-colored couch to come home to every day sounds pretty good right about now. This large sofa from Consort Home looks like the perfect place to plop in style after a long day. 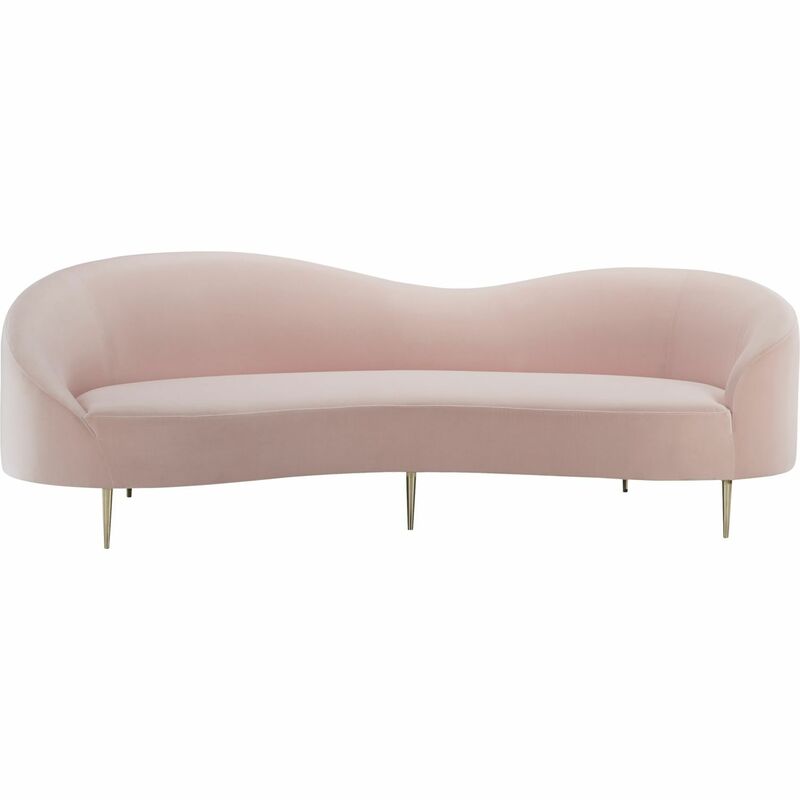 If you’re going for a glamorous, modern living room, consider this striking pink couch from Anthropologie. Note the luxurious fabric, the sleek design, and the classic shape. It would instantly upgrade any sitting area. 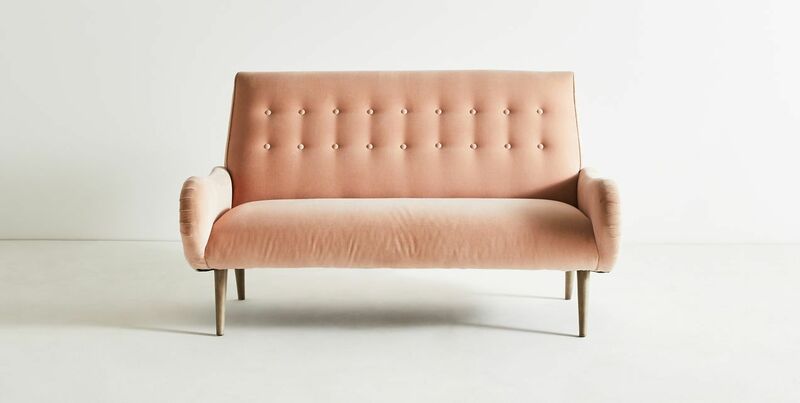 How could you say no to this blush, mid-century modern sofa in a supple velvet material from Target? It’s a rather affordable find in a stunning design, perfect for playing up more jewel tones and luxe fabrics. 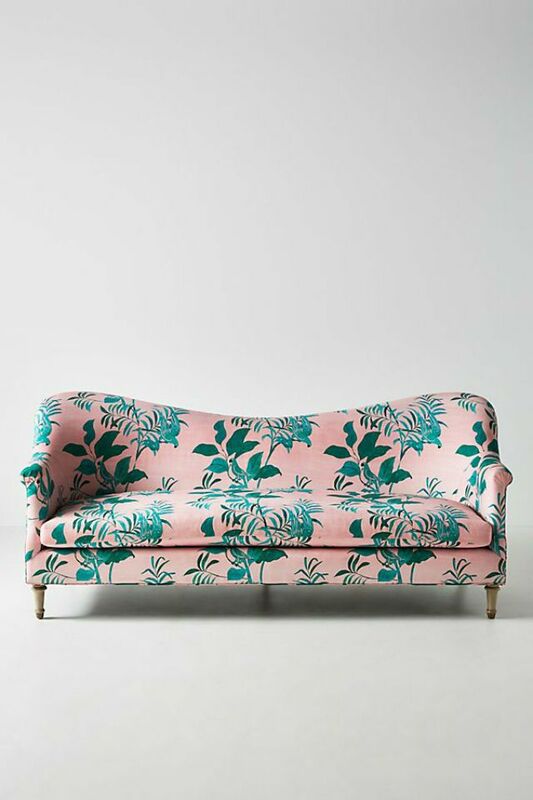 Finally, for those unafraid of a good print, there’s this pied-a-terre sofa from Anthropologie in partnership with Paule Marrot. The design is effortlessly sophisticated and the bold, playful print makes this pink couch stand out from the crowd. Next up: These are the best couches for any budget.